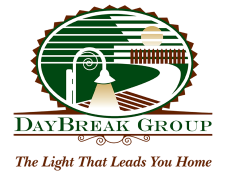 Brett and Giovanna and the team at DayBreak Group were absolutely amazing to work with on the purchase of our new home. We were moving from out of state to California and had 2 days to find our dream home and 30 days to move into it. From the first moment, they “got us” and knew exactly what we would be looking for. We found a house that we loved and they made it happen! They worked above and beyond and behind the scenes to ensure a quick, long-distance closing. Their communication was amazing and there was never a question too big or too small for them to answer. They treated us with kindness and respect and looked out for our best interest amidst a wild market. We are living in our dream home today because of them! !